Great for team building, advertising, weddings and marketing events. Baked fresh, made from scratch and of course, we use real butter. 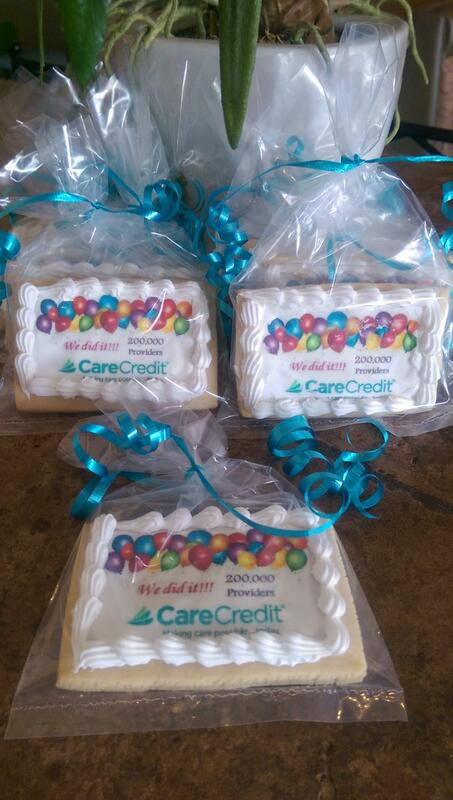 Your logo or picture is printed on candy sheets using edible inks and edged in a yummy royal icing shell border. Cookies are individually bagged and wrapped in your choice of colored curling ribbon. Please call us direct at 602-861-4711 with ordering and pricing info. Free local delivery in the Phoenix metro area on orders over 100. Two day shipping with in Arizona for an additional charge. Sorry, but currently we do not shp outside Arizona.